The Alaska Commission on Postsecondary Education’s early college awareness programs and resources help Pre-K through eighth grade students explore their interests, open their minds to a multitude of college and career options, and take the appropriate first steps toward success by guiding them to build early personal learning and career plans. By incorporating career exploration alongside traditional subjects during the elementary years, students build a strong foundation to better understand the importance of academics, extracurricular activities, and healthy study habits as it relates to future career goals. Early career exploration teaches students to work hard in elementary, middle and high school, giving them the ability to make educated decisions about high school class schedules, setting the course for their postsecondary education and career pathways, and readying them to achieve scholarships that offset the costs of postsecondary education. 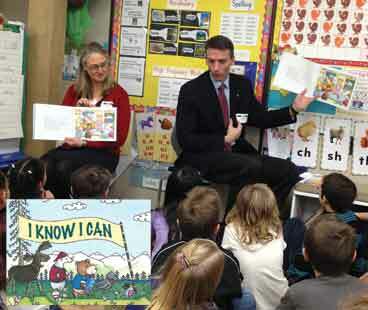 Designed to spark youngsters to begin their own career exploration, the I Know I Can story draws the connection from elementary classroom education to higher education and careers, sends the message that college is possible, and encourages young children and their families to start thinking about college early. I Know I Can is a partnership between the Alaska Commission on Postsecondary Education, UA College Savings Plan, and numerous school districts and volunteers across Alaska. The 6-lesson curriculum helps students identify career interests, build personal learning and career plans, and understand the steps they can take in middle and high school to better prepare themselves for college and career success. Kids2College is a partnership between the Alaska Commission on Postsecondary Education, UA College Savings Plan, Sallie Mae Fund, and numerous school districts and volunteers across Alaska. 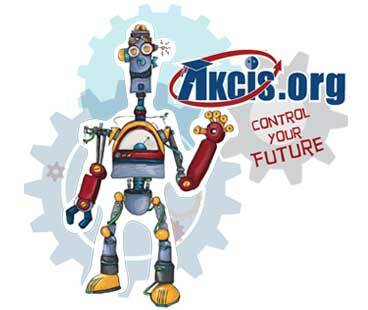 AKCIS is a free, interactive, web-based education and career planning tool which helps students identify their interests, explore career pathways, and begin to make their own Personal Learning and Career Plans. The AKCIS Jr. Implementation Plan offers 3 models to meet the needs of teachers with varying schedules for AKCIS activities. Many activities are designed to be completed online, with others available as printable worksheets. AKCIS is a partnership between the Alaska Commission on Postsecondary Education and Alaska Department of Labor & Workforce Development.